Extra train services to connect Morpeth with London and Edinburgh are being proposed in a new operation. Transport operator FirstGroup has submitted a formal track access rights application to the Office of Rail Regulation to run several trains a day from London King’s Cross to Edinburgh, via Stevenage, Newcastle and Morpeth. We have put our compelling case to the ORR and we are looking forward to hearing the outcome of our application. If approved, the services will start in 2018. 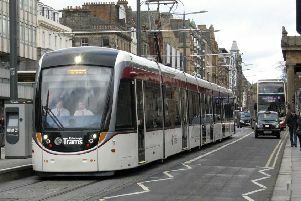 FirstGroup Chief Executive Tim O’Toole said: “These innovative plans will give customers travelling between London, the North East of England and Edinburgh an attractive alternative to flying. “We hope to entice passengers away from budget airlines through our low fares and high-quality trains. The South East Northumberland Rail User Group (SENRUG) has warmly welcomed the proposal. Chairman Dennis Fancett said: “We are absolutely delighted about this news. We hope FirstGroup is successful. “We have been saying that Morpeth deserves a better rail service and we had discussions about that with FirstGroup when it was one of the bidders for the East Coast Mainline. “If the application is successful it would be absolutely fantastic because it would give Morpeth five trains to London a day. FirstGroup already provides 90 journeys a week between London and Hull in an open access operation.